What is the definition of Gold? It is a soft, yellow, corrosion-resistant element, the most malleable and ductile metal, occurring in veins and alluvial deposits. A good thermal and electrical conductor, gold is generally alloyed to increase its strength. The Physical and Chemical Properties are the characteristics of a substance, like Gold, which distinguishes it from any other substance. 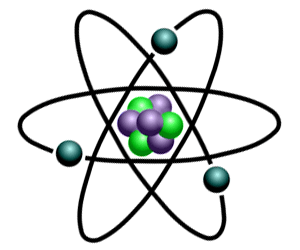 Most common substances, like Gold, exist as States of Matter as solids, liquids, gases and plasma. Refer to the article on Gold Element for additional information and facts about this substance. Gold Properties - What are the Physical Properties of Gold? Hardness : A relatively soft metal, gold is usually hardened by alloying with copper, silver, or other metals. Gold Properties - What are the Chemical Properties of Gold? Compounds : Ready reducibility from compounds to metal. Auric chloride and chloro-auric acid are its most common compounds.